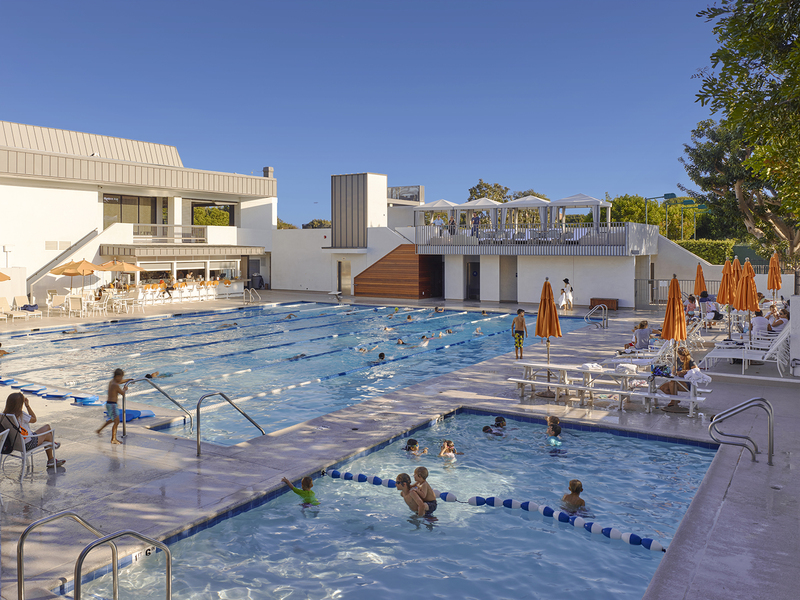 The new pool house and spa, and newly renovated existing pool, are located on a 7.5-acre private club within an urban context on the Pacific coast. 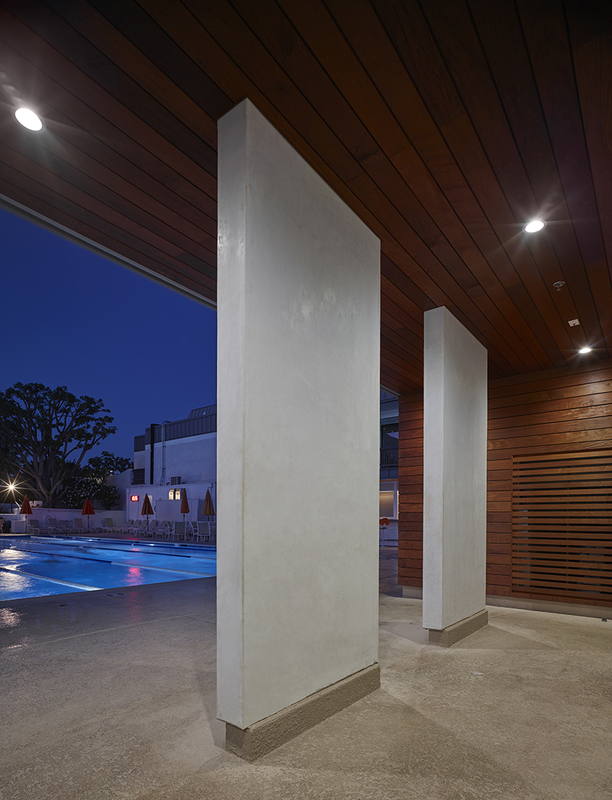 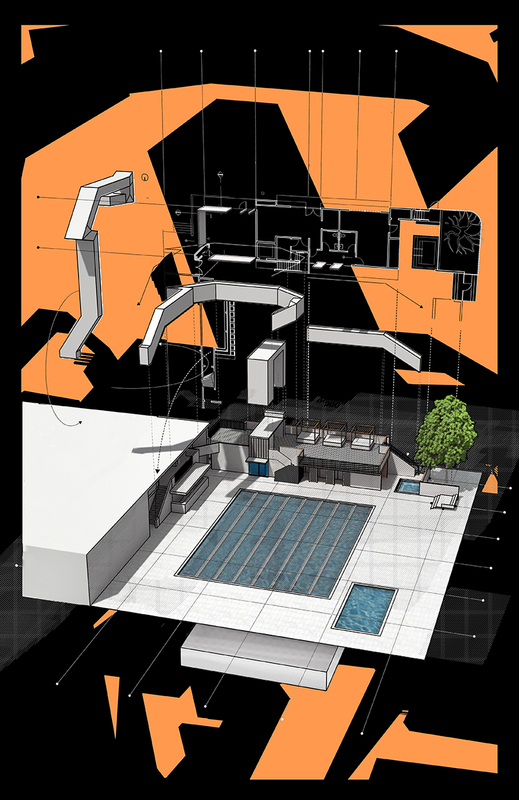 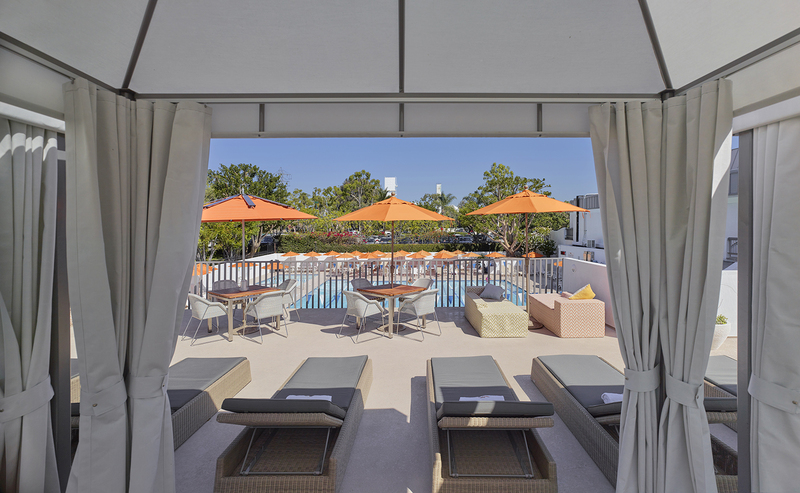 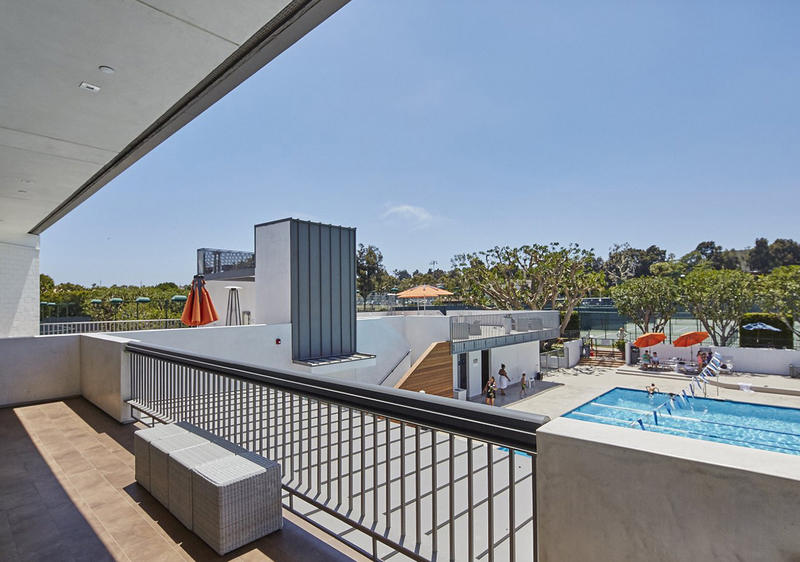 The new building accommodates several previously-separate functions serving the pool into a single building, conceals their service and mechanical aspects, and adds new amenity - a multifunctional terrace that becomes a new focal point of the club. 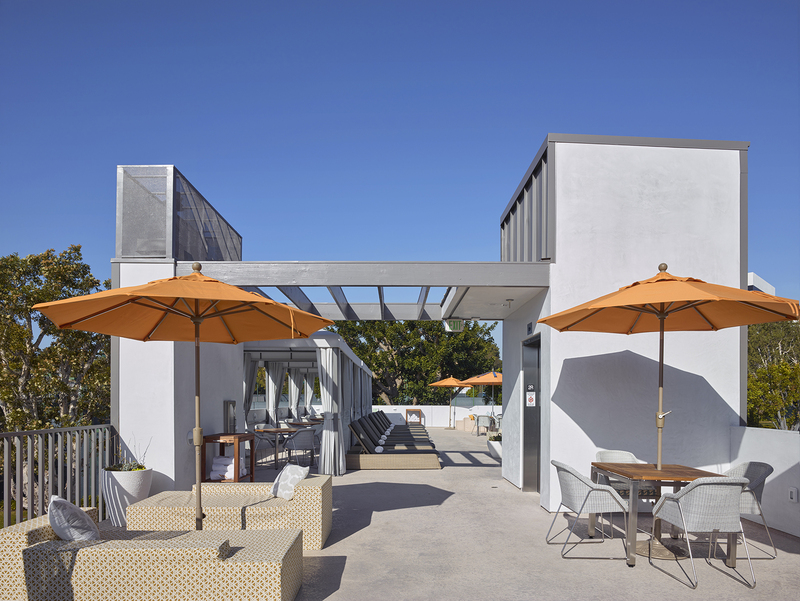 The design approach draws inspiration from the simplicity of the California modernist tradition. 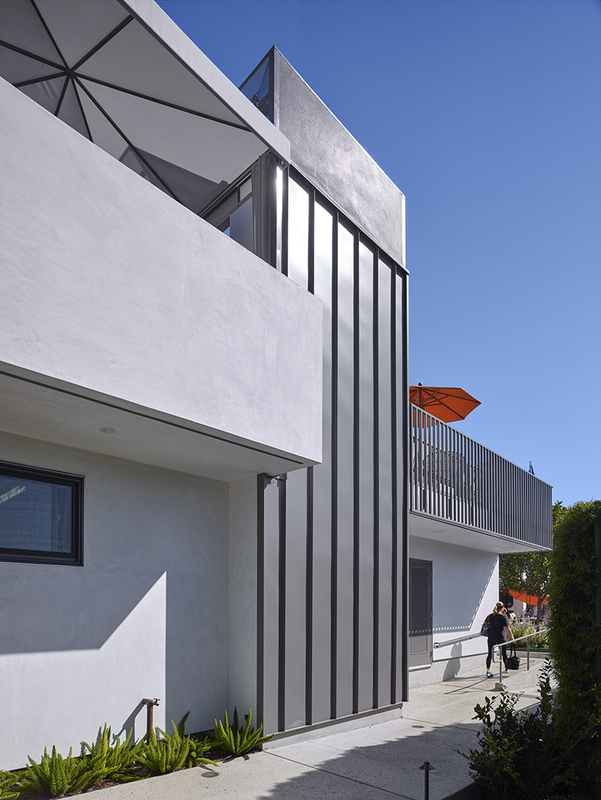 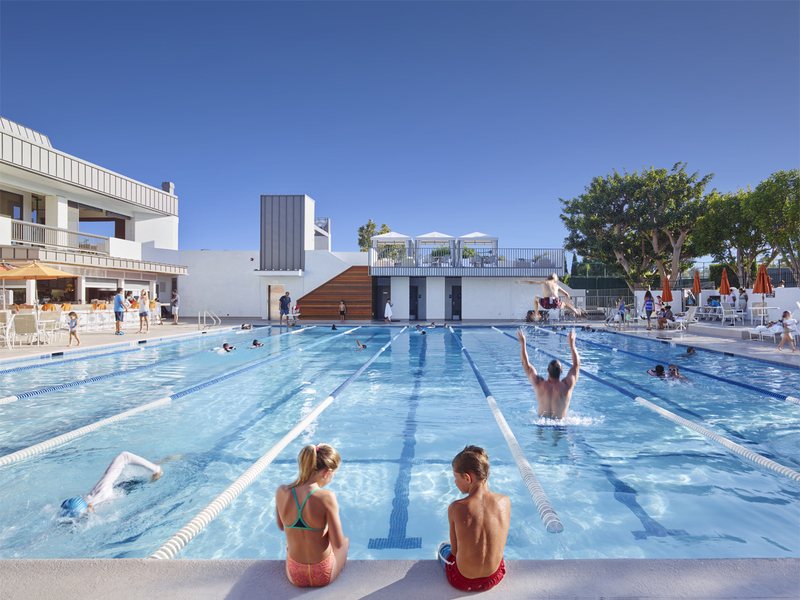 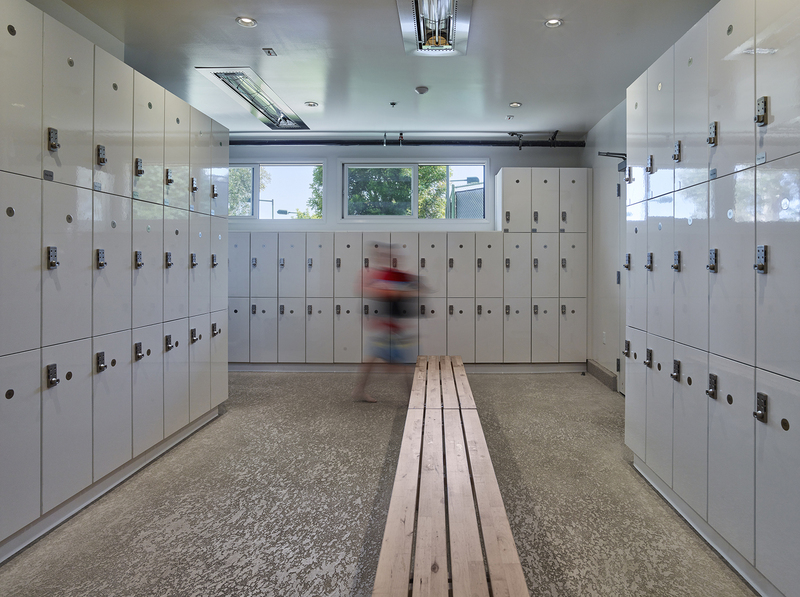 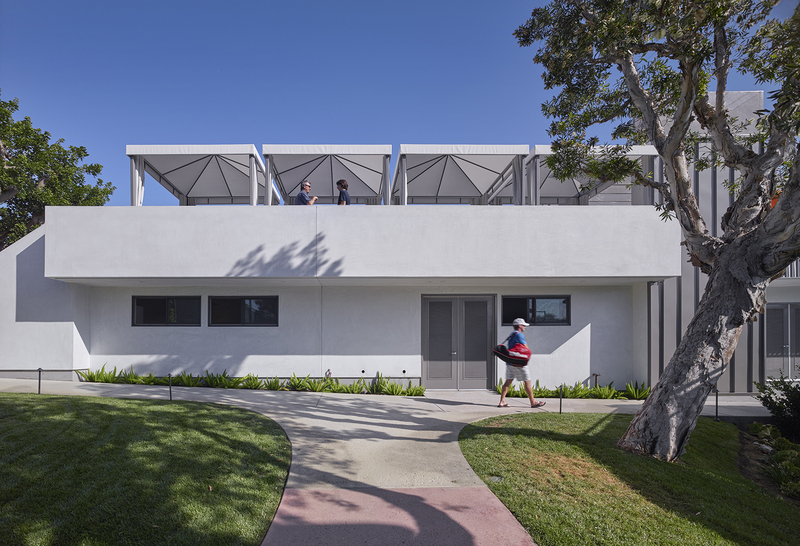 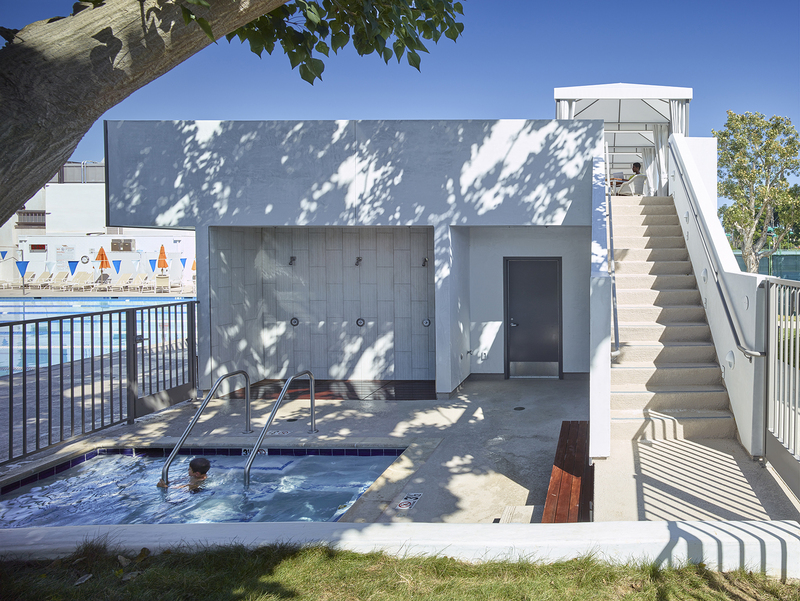 It is driven by the intent to go beyond pragmatic requirements and to find a solution that represents the rising prominence of the club within the active beach community of Manhattan Beach, enhancing the special experience and mood of the place.